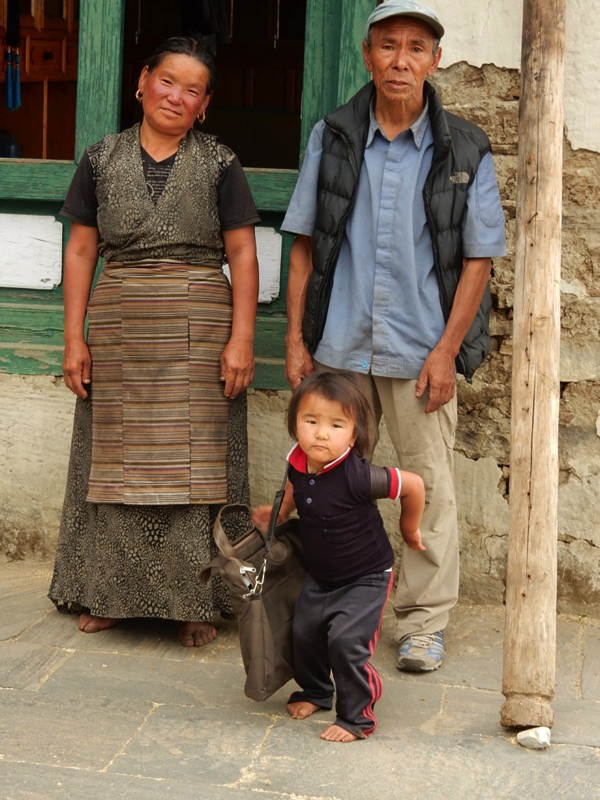 Ngima Onjchhu and Chhechi, husband and wife lived in a two story house before the quakes and would want a two story house rebuilt for them, preferably with pillar style construction if possible. Chhechi wept openly and freely during most of the interview, obviously emotionally impacted by what had happened, and throughout her crying told her story. “I was in the pasture when the first earthquake occurred and I saw everything moving and shaking—my house, the trees, everything. My husband was nearby helping to reroof that house,” she said pointing to a neighbor’s house. After the first quake, the couple moved into a temporary shelter where they remain and are afraid of poisonous snakes and leeches. They live in constant fear there will be more quakes, and the aftershocks keep coming and doing more damage.